5. Favorite Weekend Activity: Sleep and Snowboarding/Trail Running depending on the season. Wow! That was harder than I thought it would be!! My birthday was amazing this year. Compared to last year where I was completely checked out and took 20 pills a day and knee deep in drama, I actually will remember this birthday! It was super low key, which was really nice. After work, my parents came up and took me shopping for gifts and to dinner. I got a new pair of running shoes, flip flops, clothes, and a new watch! Thanks to my Aunt Sue's Loft Gift Card on my 100th day sober, I was able to get this beauty! 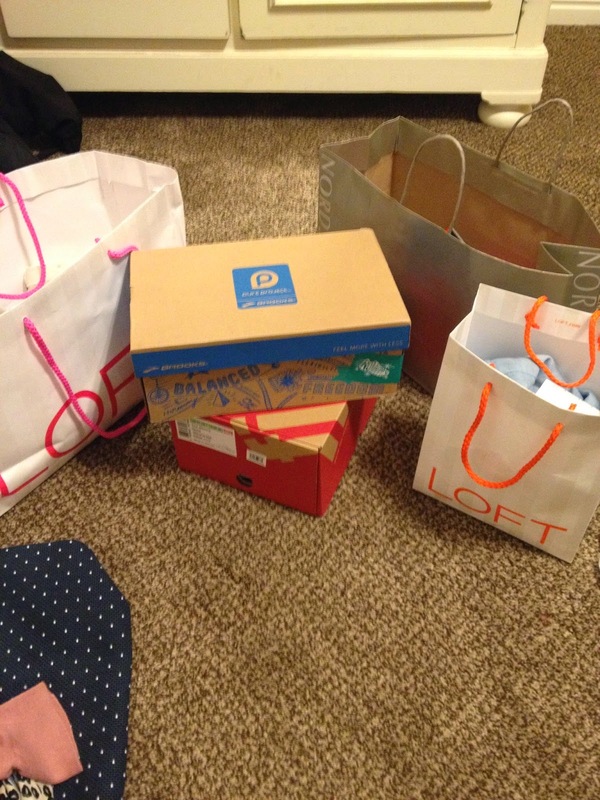 Loft + Nordstrom + Shoes = Happy Girl! Thanks for all of the Birthday wishes! I have the greatest support ARMY! Love you all! Here's to a MUUUUCH safer and happier year ahead!